Looking over the newest Impact Magazine – 188 pages of expensive, four-color fluff – I was impressed not by how much expansion Scientology has accomplished, but by how invisible that expansion is, outside of their own events, magazines, and press releases. We are told that, thanks to the IAS, the social betterment programs of Narconon, Applied Scholastics and The Way to Happiness have gone from helping 9.8 million people 25 years ago to 119 million today. Wow, 119 million people. Almost 2% of the planet has been through one of these programs? The equivalent of the entire population of Japan? Or a third of the population of the US? LRH says in the Data Series that the hardest thing to spot is an omitted. Hard, yes, but not impossible. Let’s look for some of the things that should be present if the expansion claimed in Impact Magazine were factual. Well, for starters, if there are twenty two thousand community, city, state or federal groups using LRH tech, you would think there would be news articles about at least some of these. You would think that some of these groups, maybe just a few thousand, would have put glowing reports on their own websites. Yet a pretty thorough Google search, using all imaginable search terms, finds…virtually nothing. Try it yourself, prove me wrong. A search for news on Narconon, for instance, nets 54 responses. And the bulk of those are cited as from TransWorldNews, PRNewswire, PressRelease365 and 24-7PressRelease.com. These are all online press release distribution companies, that is, you write the press release and send it to them, and they distribute it for a fee. Voilá, instant press. A news search for Applied Scholastics gets about eight articles, all from Australia, all dealing with a controversy over a Scientology school getting federal funding. A news search for The Way to Happiness? I get 14, three of those concerning that same Australian school. And what about those 119 million people who have been through one of these social betterment programs? Wouldn’t you expect that some of those people, maybe just a few million, would have mentioned that fact on their personal blogs or websites, their MySpace or Facebook pages? Well, I couldn’t find them. What, did they all sign a confidentiality agreement promising to never mention their gains online? All of this is not to negate the work of individual Scientologists who are out in the world, applying what they know to make the world a better place. There are many of them, and their work is appreciated. But for David Miscavige to crow about huge, unrealistic statistics that bear no relation to reality is to make a mockery of the real work being done. Expansion doesn’t occur because someone claims it occurred. It occurs when someone does the actual work to make it happen. 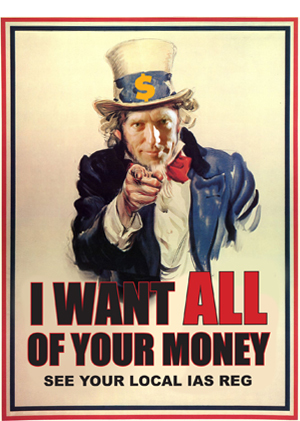 Scientology doesn’t have millions of members because Miscavige says they do. In fact, there are probably 40,000 to 50,000 Scientologists worldwide, if one looks at the real scene. There aren’t 8,000 orgs, missions and groups, despite what Miscavige claims. there are a few hundred. 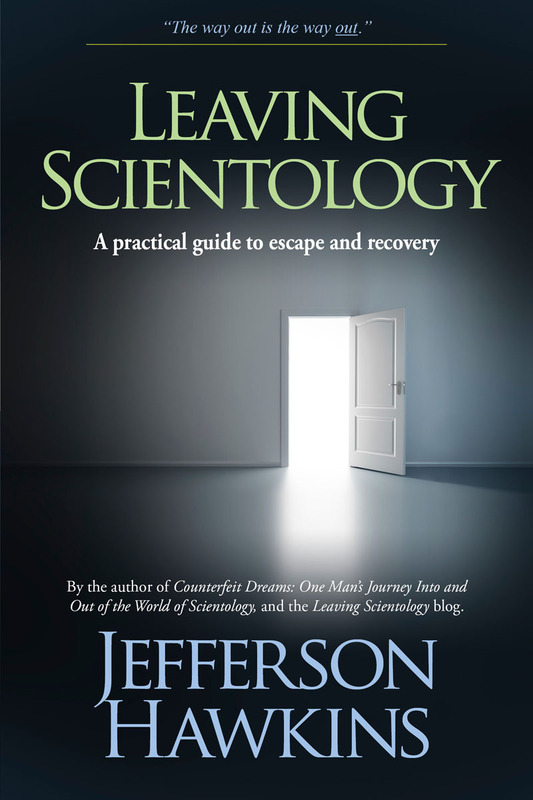 There could be thousands of orgs, millions of Scientologists with good, hard, effective work. But that work is just not being done by current management. All they are interested in is empty puffery and PR. Go ahead, Miscavige, prove me wrong. Publish a list of the 22,000 agencies using LRH tech. Publish an address list of your 8000 orgs, missions and groups. Show me the millions of blogs, websites, and social networking pages where wins from LRH tech are posted. Show me. Otherwise, all you’ve got are hollow speeches and hyperbolic magazine articles with no basis in any reality. The only thing experiencing “unlimited expansion,” apparently, is David Miscavige’s ability to create an elaborate, gaudy fabric of lies out of nothing. I worked at the Int Base for 15 years, and took part in many of the “event planning” meetings. The sad thing is, top Scientology executives know that statistics like these are BS. There is a continual figure-figure as to how to inflate statistics to “make them look good.” There is massive pressure from Miscavige to come up with “bigger and bigger wins” – without actually doing any real managing. Scientologists have no idea the actual fraud that goes on behind the scenes to come up with glowing “expansion reports” like those in Impact Magazine. Scientology execs are long past having any shame about this. I totally believe this Fishdaddy. The last event I went to in 2008, it was announced that Pasadena org was “filled to capacity” in the Academy. I almost fell out of my chair. As the Tech Sec of that org, I knew this was totally untrue. Having thought I heard wrong, I turned to the OES Sue Miller and she looked at me and shrugged. I got up and walked out disgusted. I never went to another event and henceforth began my journey OUT. 2) Taking in the profits. …Aaarghh -You’ve just reminded me of the years I spent holding two opposing “facts” in my mind: “Scientology is expanding,” and “the org sure seems empty.” I literally did this for years. Thank you for putting this issue of manipulated stats and outright falsely reported stats out there. To my mind, it’s even more important, shocking and shamefully damning of int management than dm’s abusive “management style” (which is itself all of the above). This is huge betrayal of trust. It’s outrageous, and as SherryMK indicated, disgusting. Thanks for putting this puffery into perspective. If I keep a copy of your post handy, I have enough ammunition to respond to almost any email or invitation I receive from the CofS. Can you explain why there are no actual stats of completions this year vs last year? It will probably get me off the mailing list faster than sending the pieces back marked “refused”. As a way to use comm lines, ones that are sometimes forced on us, to do some good, it has an aesthetic appeal, What was an unwanted comm line and frequent cause of bpc becomes a tool by which others might conceivably be led to a better awareness of what is really going on. Not to mention, it might cut down on all the freakin’ emails they send me. There is also re-definition of words to create the needed picture. The very word “expansion” has become completely meaningless. My dictionary defines it as something “getting bigger”, but the only things that get observably bigger at DM’s events are the amount of extraodinary hyperbole used and the number of hours scientologists are supposed to spend in front of TV screens watching them afterwards. “Expansion” to a DM devotee seems to mean anything that is apparently being done in the world in the name of Scientology. I see a parallel with socialist governments – this “management” by spin is very popular with the UK Govt and has been since Labour put spin doctors and focus groups at the fore of policy formation. Blair was obsessed with image and continuously re-announced a re-hashed “initiative” as something new, or re-announced some new “investment” (read “spunking taxpayers cash”) as if it was new money instead of money that had actually been set aside the previous year. The illusion that things were actually getting DONE was masterfully created, and so it is with DM’s propoganda machine. It makes me feel quite violated, quite ill to think how I fell for it, year after year, event after event. It is no joke – it is very insidious betrayal of the worst kind. Really the only two stats that matter are auditors made and PCs and PreOTs audited. All these other “stats” are either a deception or delusion. Miscavige has lost it. Society in general works better than current Church of Scientology. CoS and North Korea has a lot in common: Dictatorship, blindness, inability to confront reality and imagined enemies. Thanks Rebel for this brilliantly written post. I have been saying the exact same thing for years. It falling on deaf ears. I hope that more people start opening their eyes and really looking to see if all of the claims that are made at these events are really happening. Has anyone checked their local libraries to see if the Basics are actually there or not? I would be willing to bet that they aren’t. They are not. Most libraries sell or discard the bulk of donated books, unless it’s something in high demand. The Church does not and has never cared to follow through and see that the books were on the shelves and available. The “product” is the donation. If they were really interested in getting books in libraries, they would only require that public donate the cost of printing and shipping the books – no markup. Or the Church would just donate the books themselves. Very well done on your post. The Mestcavige events have been like Nuremberg rallies for a long time now – more and more devoted to gawdy worship of Mestcavige and his “amazing” (fake) accomplishments and plans than anything else. Another excellent article Rebel. Many will remember the LRH birthday game? event in early 2000’s? where “ALL” of the major int stats (30 or 40 were flashed at once) were reported to be in affluence. How come EUS stats were in emergency – for the six years I was there – always, on the two year data graphs? Boldest false report in history. This was Miscavige leaving his glove at the crime scene. He wants us to win way down deep and he respects each of you for reporting his crimes, everyone’s basically good. Also whenever you disseminate this info to Scientologists in the dark they respect you too, no matter what they say. I only found like two LRH books at a library I checked. Miscavige and CoS are not as-is:ing the problems so they will unfortunately continue to exist. Thanks for the astute observations Rebel. Another good part of the mag is devoted to Invisible( to the rest of the real world) statuses and photos of victims of ruthless IAS regges and criminal exchange condition. Excellent post rebel008! Thank you. I find your obnosis ability displayed here to be most helpful. For years I have been aware of how the stats were being messed with at events but this is taking it to all new heights. This is truly unconscionable! I guess if the statement is repeated, then it’s true! I just found it exhausting to be part of that anymore. Constant pressure to be part of the “invisible expansion” by contributing, getting others to contribute; and never doubting. Exhausting to be a member of the cofS these days. And the events – exhausting and sad, actually.